Among the different kinds of cosmetic enhancements, permanent eyeliner creation is perhaps most widespread. These enhancements could be made for either or both eyelids; could be thickened or created fine. Though the choice remains yours, we could offer tempting eyeliner augmentation options. Eyeliner creation is a process of pigmentation involving needles and tattooing instruments. It is a highly skilled and delicate job that could only be done by thoroughly trained experts at Khoobsurat. Equipments used in creating permanent makeup, especially eyeliners, are sterilized. Human eyes are highly sensitive and prone to infections and allergies at the slightest opportunity. We use genuine pigments bought from reliable sources to minimise the chances of infections. Iron based pigments are used as they are safest and least allergic. 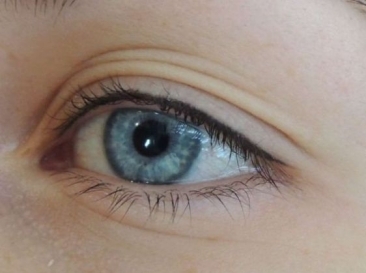 Before permanent eyeliner or any other makeup procedures we carry out a dermatology test. Permanent enhancement of the eyes is done after application of local anaesthesia. After the procedure an ice compress is done for complete relaxation of eyelids.